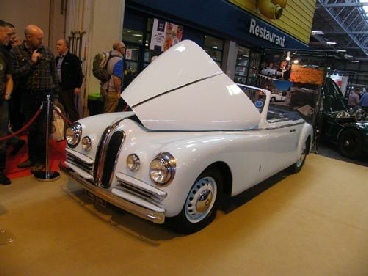 The Bristol Owners Club kindly invited us to display our car on their club stand at the annual Classic Car show at the NEC, Birmingham. The theme was cars taken to the limit and we were selected because of our competition history. Also invited were Geoffrey Herdman’s Bristol 405 drop head, that had circumnavigated the globe at the hands of Geffrey and his wife Hillary during 2010-11. And Joyce Ascher’s Bristol 403, which had also had prior competition history.